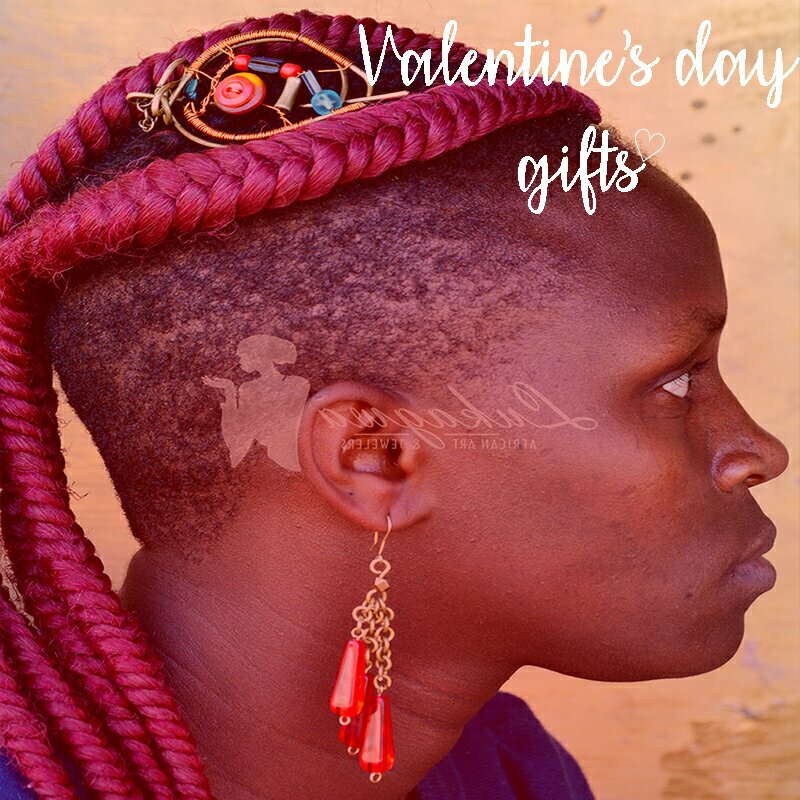 Love is in the air and we have unique, one of a kind timeless gifts for your loved ones.The Afrocentric brass hair clips are a symbol of human ingenuity that incorporates both ancient African jewelry making processes and contemporary elements to it. 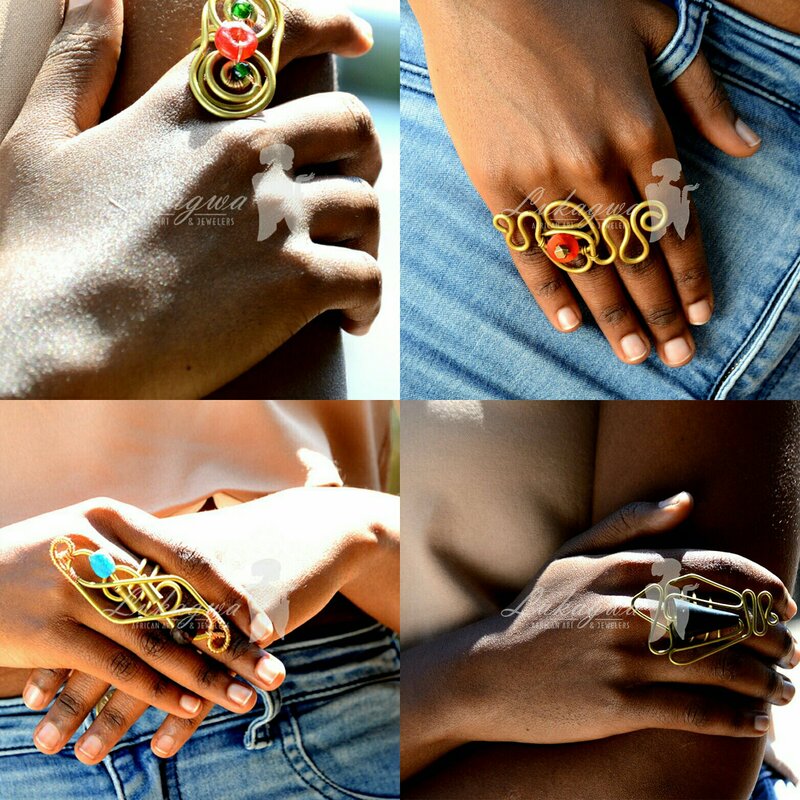 The brass and bead rings are outright cool. They carry a degree of sophistication and authenticity that is unmatched. 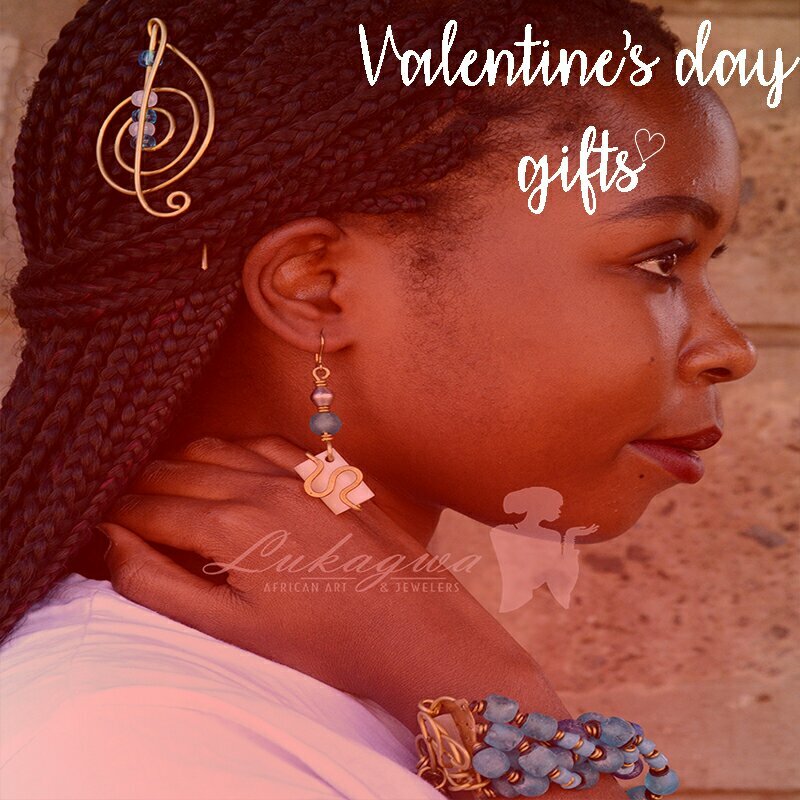 Suitable for any occasion.Lukagwa bracelets and earrings are elegant, perfectly fitting alternative to those who do not prefer necklaces. 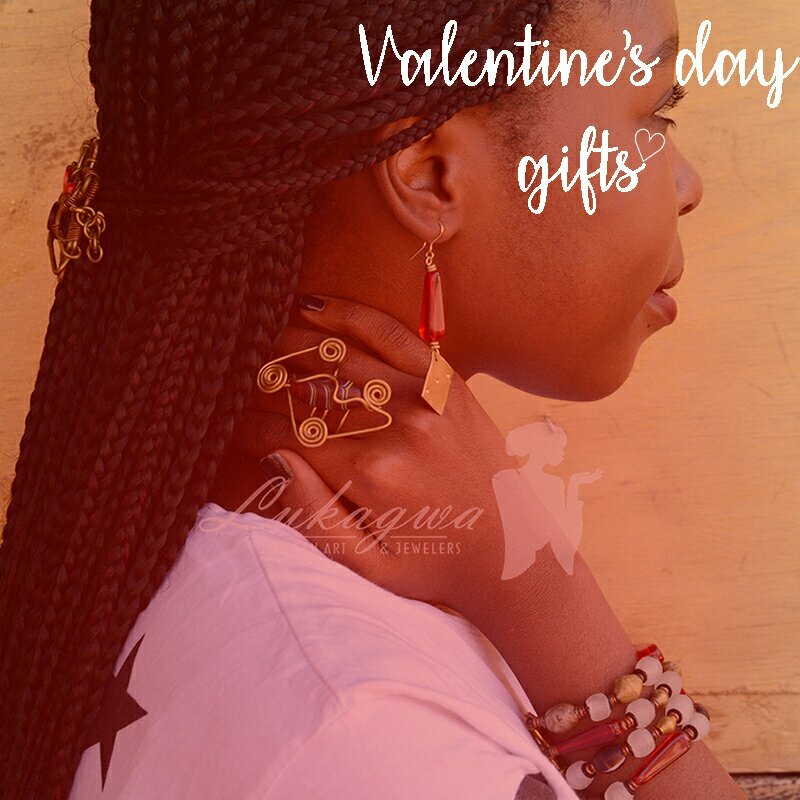 The bracelets come with an adjustable ring and dimensions are available upon request.Head on over to the Etsy Shop to get a gift set for your loved one, great prices too!! that we thought are worth considering. and stay on top of things. positive thinking, positive relationships and positive lifestyle . 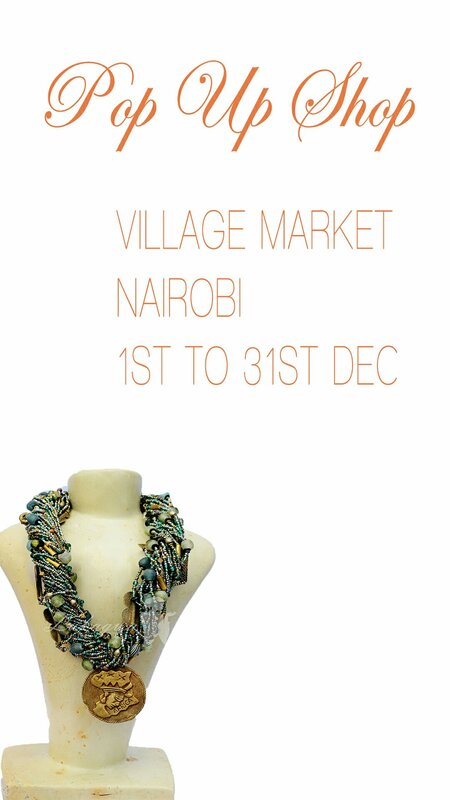 Have you visited our pop up store yet?Come down to the Village market and see the goodies we have for you and your loved ones!Our store is on the first floor at the food court adjacent to the icecream Parlor.See you there. 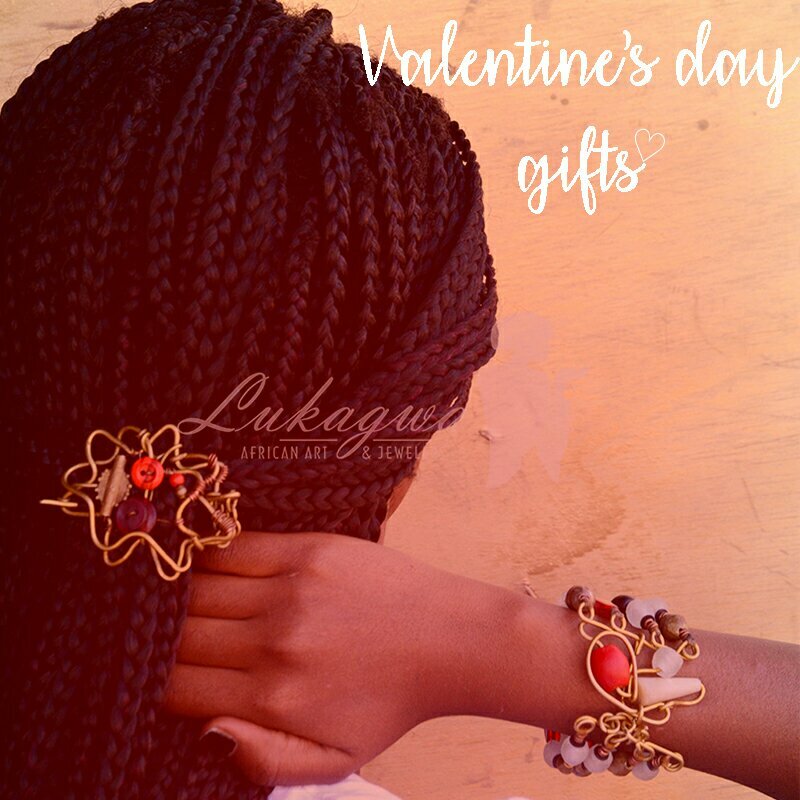 Make her feel special,pick out one accessory that blends with her style.